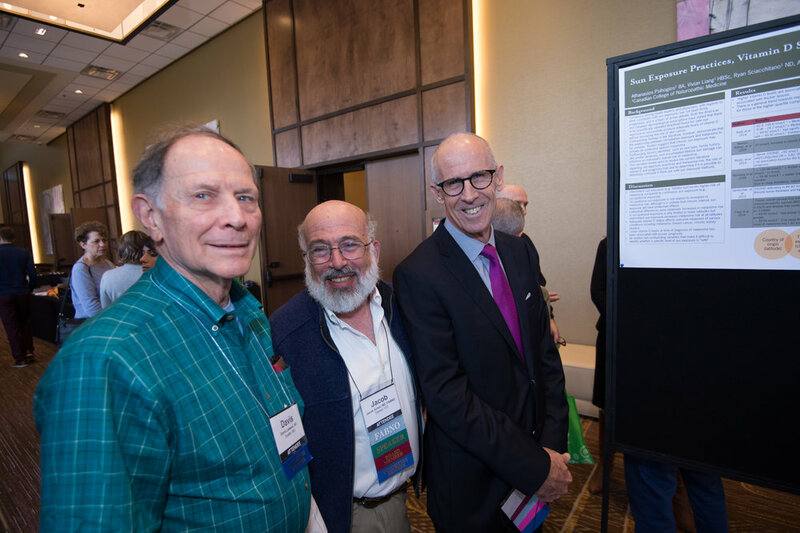 The Oncology Association of Naturopathic Physicians held its 7th annual conference in mid-February 2018. This conference continues to be, for me, the most interesting and thought-provoking conference of the year. Speakers are selected by a committee that includes some of the best presenters in our profession, and the relatively narrow focus on naturopathic oncology allows some of our selected speakers to dive deep into particular topics while other speakers survey the breadth of our field. Dr. Eric Marsden opened the conference with a highly detailed discussion on managing intravenous infusions treatment (IVIT) for advanced cancer patients. In addition to the basic vitamin C IVs most of us are now familiar with, he also covered infusional hydrochloric acid, viscum, colloidal silver, and glycyrrhizic acid. Marsden is an analytical sort with extensive experience administering some 40,000 infusions to patients over the years. The first topic discussed in depth was prevention of thromboembolic events (VTE), that is avoiding blood clots triggered by treatment. VTE risk is significantly higher in advanced cancer patients. For example, in pancreatic cancer patients, VTE risk is 4.5 times that of a person without cancer. Weakened immune function along with accessing ports to administer drugs and other intravenous treatments puts cancer patients at higher risk for infection. Marsden reviewed the way he treats these infections and perhaps, more importantly, the procedures he follows to prevent them. He also discussed how to prevent and address cachexia. I was the second speaker of the conference. My assumption is that the scheduling committee wanted to get it over with asap. That was my feeling as well. Speaking at conferences leaves me anxious enough that I can’t pay attention to what anyone else says until I’ve gotten my lecture over and done with. I tend to view public speaking as a standup comedy act and like to see my audience smiling and laughing out loud. I spoke on the quest to trigger spontaneous remission in cancer patients, a somewhat serious topic, and one not particularly designed for laughter-provoking punch lines. Thus, I lowered my expectations for being the funniest lecture of the conference and hope my lecture nudged at a few paradigms. Erin Sweet followed my act with a thoroughly academic review of a study in progress conducted by Leanna Standish, ND, at Bastyr University and Robyn Andersen, PhD, MPH, at Fred Hutchinson. They are conducting an observational study on whether naturopathic oncology interventions effect the quality of life of breast cancer patients. They have already had over a dozen studies published using data drawn from these women. Does what we do really work? These researchers will be the first to know. Stay tuned. Dr Standish is scheduled to deliver a webinar for OncANP members in the near future on how to take part in a web-based outcome reporting effort that Bastyr University is conducting: https://redcap.bastyr.edu/redcap/surveys/?s=XKR9Y3HDLC. The next two lectures looked at pain management. The first was given by Drs. Wright and Green who spoke on persistent breast pain and distress in breast cancer survivors. They asked us to consider improving our screening and broaden our approaches for treating these issues for the good reason that survival improves significantly for women with support networks, relaxation counseling, and yoga. Specifically, they discussed a few large RCT’s where stress reduction counseling offered breast survivors a 45-55% reduction in recurrence and decreased mortality in 10-12 year follow up. The second pain talk was given by our old friend Dr. Eric Yarnell and was on the herbal formulas he uses for pain. With this particularly interested and attentive audience, Dr. Yarnell was able to go into great depth on prescribing the herbs corydalis, aconite, pulsatilla, and hyoscyamus. Yarnell is the owner of Heron Herbs; and what many conference attendees failed to notice was that at their tradeshow vendor booth, Eric had a fair number of samples of herbal pain formulas. This one particularly curmudgeonly conference attendee happily cleaned up at the end of the trade show. These lectures were followed by a ‘sponsored lecture’ given by Dr. Michael Morse, MD, from Duke University. He spoke about his research on a product made by Oliventures inc., an extract rich in tyrosols made from olives. He did a decent job of convincing us that swallowing their pills would have an impact equivalent to consuming several liters per week of extra virgin olive oil (EVOO). Given that in the PREDIMED trial a single liter of EVOO per week was associated with a 68% decline in breast cancer incidence, this caught my attention. Dr. Morse presented unpublished data that suggests these tyrosol-rich extracts might reduce inflammatory markers and aromatase inhibitor arthralgia in women with breast cancer. Regardless of being a sponsored presentation, a lecture about a compound that promises these things caught my attention. That was day one, and while some people might hope I go lecture by lecture through entire the conference, such a plan strikes me as tedious, both to write and to read. Suffice to say that the following two days continued along the same vein of useful, inspiring, and occasionally mind-shifting presentations. I am lobbying the speakers to write articles for this journal based on their lectures and hopefully this will happen over the coming months. These include in particular Ian Biers, Judith Boice, Lise Alschuler, and others. I do want to single out Ian Bier’s lecture as I’ve been meaning to go back and read his notes again. He reviewed common lab tests that are under appreciated, tests that possess prognostic value in cancer and might be useful in monitoring patients. Some of these mentioned tests caught this listener by surprise as they are routinely run as part of chemistry screening panels. Most of us are aware that monitoring lymphocyte and neutrophil ratios is useful, but I suspect few know to watch gamma-glutamyl transpeptidase (ggt) levels just as carefully. As useful as the information from these speakers might prove to be in practice, what was more interesting was the range of projects that association members are moving forward on. Drs. 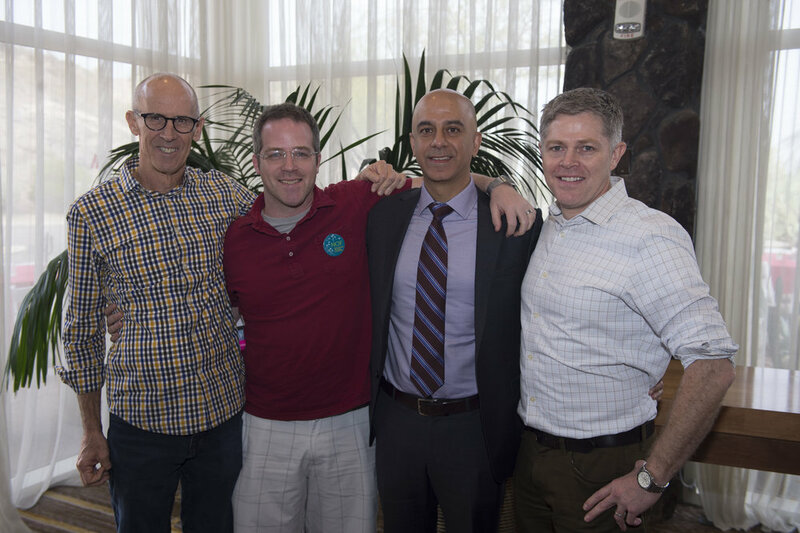 Gurdev Parmar, Chad Aschtgen and Michael Traub have created a manual for residency training in naturopathic oncology. They have successfully created systems in their own practices that bring new doctors in and train them up to be full-time associates. Practicing naturopathic oncology has grown into such a specialty with such a complex field of knowledge that many believe residency training is needed for a practitioner to practice naturopathic oncology effectively and safely. Providing opportunities for this sort of training is crucial as the prevalence of cancer increases. Increasing quantity and quality of residencies is fast becoming the most important thing our association can do. The other urgent task at hand is increasing public awareness of naturopathic oncology. There are a large number of patients who seek the science-informed integrative approach to oncology that we offer who have no idea that OncANP or even naturopathic doctors exist. Tina Kaczor, ND, FABNO, has created the Naturopathic Oncology Foundation, a 501c3 non-profit, which is soliciting donations and initiating projects to make our specialty more visible to the public. I worked with four fourth-year business and marketing students. My goal was to do a transition model to take the experience of successful docs who want to retire and match them with new docs to help them thrive in private practice. I spent six months working with and directing the students as to the goals, and then gave them the resources to use to put the information together. Essentially, I was the project manager. Given that none of my students even knew what naturopathic medicine was, I spent a lot of time helping them get up to speed both from a ND business model stand point and helping them to understand the naturopathic market. As I started talking with other health care professionals that had retired – ND, DC, dentists – I kept hearing the same thing, “I tried to bring on an associate and they sucked my brain dry” and either left or went down the street to start their own practice taking many patients with them. So, a large percentage of retiring docs just closed their doors. Given the large failure rate of new docs in any profession, I found this to be a shame. Thus, this model was born.… I love my profession and want to bring naturopathic medicine to more people. In my humble opinion the best way to do this is to help new docs become successful. I found these efforts that look toward our shared futures to be the most exciting part of the conference. at the Hilton San Diego Resort and Spa on February 15-17, 2019. Visit our website at www.oncanp.org to stay up to date with our call for abstracts and registration. It was extremely difficult to select the recipient of the OncANP President’s Award this year – first because I’ve so little experience being presidential and second because so much powerful work has been done in the last year by our committees. Dr. Eric Marsden from Toronto, Ontario, led the committee that created the recently released “Principles of Care” document (POC) to our membership. This accomplishment was a huge and time-consuming task and is so important to our profession that he was an obvious choice for this award. In fact, considering the enormous efforts his large committee put into this task, it might have been reasonable to include all the members as well. Competing with this though are the efforts of Gurdev Parmar, Chad Ashtagen, and Michael Traub who created the OncANP Residency Toolkit, which provides the instructions and tools needed for clinic directors to start up a residency-training program. Anything that increases our ability to train clinicians in naturopathic oncology should be awarded. And then there is the PR committee with Christina Shannon, Sharon Gurm, and Heidi Vincent who advanced our public relations by creating professional, written powerpoint and other presentations that capture our message in a consistent way so that we can all be better ambassadors of naturopathic oncology. This list of worthy contributors must also include our membership committee – Kirsten West, Heidi Lucas, and Sonja Fung who have been producing our monthly newsletter and promoting opportunities through the creation of a member benefits package. Lastly, we have the research committee, led by Dugald Seely, who for the second year in a row added an incredibly successful research poster component to the OncANP conference. This adds a step in the right direction for our colleagues who create professional presentations of their pre-publication projects and novel proposals. Suffice to say there were a number of deserving competitors for this award and that I agonized at making my choice. One person stood out though, a person who was quietly working behind the scenes and not on a committee. At her own expense, and working over several years, she built a team of professionals and experts to support her mission. She has created what I hope will prove to be an exceptional resource and model that stands to significantly support the continuation and sustainable development of our clinical practices. This one person noticed that as naturopathic doctors retired, their practices were being closed. All their patients lost their source of integrative health care and the provider their source of income. At the same time, there were capable clinicians fresh out of school, some of whom carry hefty debt burdens, looking to start a practice. These young doctors were forced to re-invent the wheel, so to speak, while other older practices with existing patient bases were closing. I was in Seattle last Fall at a professional meeting when a colleague came up to me and said, “I’d like to speak with you some time about this project I’ve been working on. It’s a business model,” she said, “for naturopathic doctors planning to retire. It helps provide information, so they can bring on new grads and residents and not close their practice.” She presented me with a professional-looking manuscript. She said she’d partnered with a Washington State University program of fourth-year business and marketing students to create a detailed and well-illustrated analysis of naturopathic practices. Basically, it’s an argument for old docs to take on new docs into their practices and various financial analyses on how this could be financially advantageous to both parties. Choosing the recipient of this year’s award has been hard. Fulfilling this role as the association’s president is challenging. It is even harder to believe that this dedicated, hardworking individual named Cynthia Bye, ND, FABNO, saw this need and worked for several years to amass the information needed to create this professional transition tool for the benefit of our profession. I’m honored to provide this award to her today.